SMX London has now published its agenda for the May 13th/14th conference at the Chelsea Football Club ground, and as ever, there's a wealth of information to hoover up while you're there. If you haven't already booked your ticket, you can use the code WORDTRACKER14 on the registration page to get a 15% discount. SMX's usual two-track format is present again - so you can choose between the 'Search & Social' track or the 'SMX Advanced' track. The headlines for Search & Social are around Hummingbird and long-term SEO, along with discussions around Social Media, focusing largely on Facebook, Twitter and YouTube. You'll also learn more about using Google+ and authorship, with panelists demonstrating real traffic and engagement metrics. Of course there's more, including infomration about retargeting, Universal Analytics and SEO tools. The Keynote is still to be announced, but previous speakers have included Amit Singhal (head of Google Search), Mario Queiroz (Google VP) and Brian Fetherstonhaugh, (Chairman and CEO of OgilyvyOne Worldwide), so it's likely to be from someone highly accomplished. The moderators for several of the sessions include Chris Sherman and Danny Sullivan, SMX stalwarts and highly experienced, so expect things to go smoothly. Book your ticket now, and get your 15% discount by entering WORDTRACKER14 on the registration form. See you there! Mal Darwen joined Wordtracker in 2008 as part of the Customer Service team, and now as well as running webinars in SEO and how to use the toolset is Product Manager. In the time since starting with Wordtracker, Mal has also spoken about SEO and keywords at conferences. When not Wordtracking Mal plays with a band called Praying for the Rain. 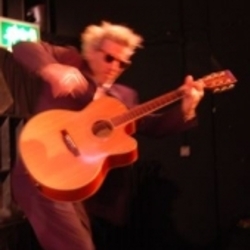 He also plays guitars and basses with a number of other UK and International artists. He lives in London with his family and a belligerent cat.